Watching a video clip reported by Radio Free Asia (RFA) stunt me a lot on the new phenomena of Khmer youth participation with the politics. While his lecture ended and opened floor for questions from the student audience, there are questions aiming to attack the lecturer in the meantime the questions were not focused on the topic as well as the persons who asked the questions and gave the comments were not on the platform of classroom setting but emotionally displayed on political involvement. Hence, a Buddhist monks stood up to clarify the skeptics that are attacking on the report of Prof. Dr. Surya Subedi. 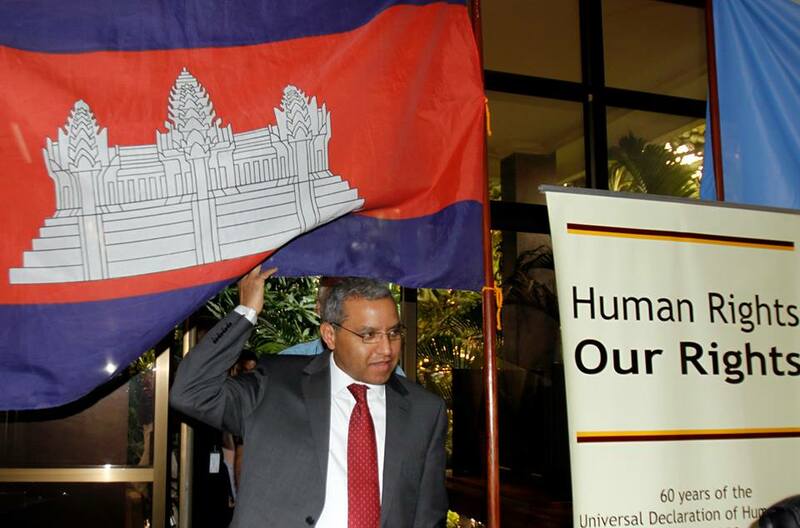 Dr.Subedi has been appointed as the Special Rapporteur by the United Nations for Cambodia. 1. 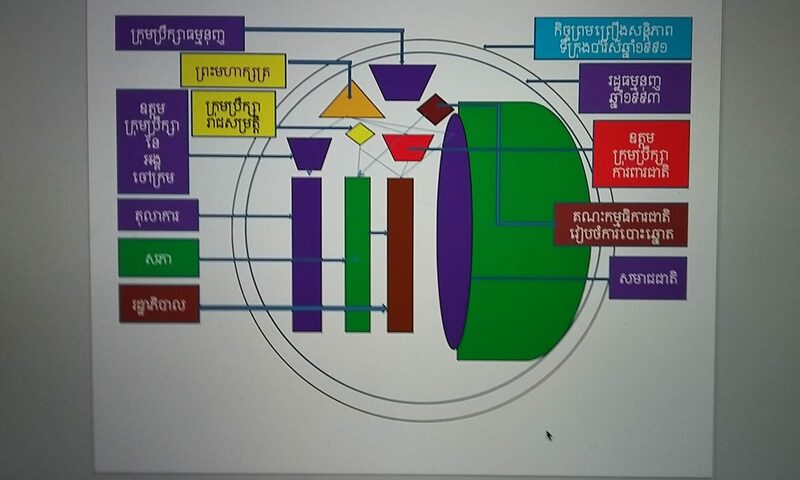 Reading the report of Prof. Dr. Surya Subedi in both English and Khmer version, the report is really balancing and constructive. The report summarized that Economics Land Concession (ELCs) and other land developments are impacted by poor management and non-transparency of the government. As the result, there are numerous displacements, evictions, community deprivation and devastation of the forests. Those forests are the key sources for community livelihood, environment and national revenue; but those foreign investments have focused on selling timbers more than rubber and plundered the trees without obstruction. Watch below video clip on the interviewing of Prof. Dr. Surya Subedi about his visit to Cambodia and the recommendation he made for Cambodian government. According to the comment accused the report of Dr. Surya Subedi as bias and discouraged foreign investment in Cambodia. Of course, this belief is absolutely wrong. Whenever, the human rights situation is improved, the trust will be built for those honest and effective investors or foreign direct investors (FDIs) to Cambodia. Whenever, our rule of laws and regulations are strong, it surely builds trust for all dedicated and good-willed FDIs. Cambodia at the moment, I can say, has been worse as her government has continually dismissed and ignored the recommendation of the UN’s envoy. If the government has learnt to admit the fault and adjust its policy accordingly, the leaders will be admired and the FDIs will be flooded into this land. The land, trees and natural mineral will be properly managed. The people will experience justice. The whole society will be getting genuine progress. That why I have criticized those students as unprofessional, immature and lacking proper research into the topic. However, I appreciate them all. Negative or positive, they have become a flame igniting inside the Cambodian soil. 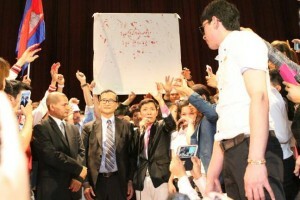 All Cambodian youths will pay more attention into those causes and effects. 2. By this small cohort of rallying against the report, more Khmer youths have stood up to exercise their power and prowess. As I read the comments and watching video clips on facebook, google groups and youtube; I am really optimistic on Khmer Youth movement to lead change for Cambodia. Cambodian Youth have been labeled as very young, having little knowledge, immature, having little power and incompetent. But the upcoming election on July 28, 2013 and while we are waiting another two months arrival; more and more youths are standing up from their bed, from their game board as well as from their silent space to voice out concern, worries and sensitivity. Youths are the agent of change. Youths are the catalyst for change. Youths are the unstoppable force for change in this country. Below are the responding back to a group of students who protested against Prof. Dr. Surya Subedi and his report on the human rights situation in Cambodia. Below is the responding of Chea Chheng, a youth who involved in the protest. Let applaud for Cambodian youths! !